At Fox Chapel Ski and Board, we sell ski packages for all types of skiers. We have packages that are suitable for beginner skiers, starting at $349 of less, all the way up through advanced ski packages for aggressive and experienced skiers. Ski packages include bindings. 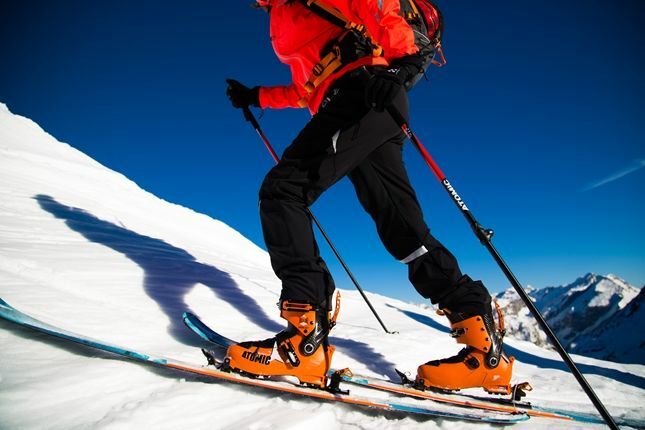 The ski may be a flat ski or a system ski - you can read more about these types of skis in our 2016 Ski Buyers' Guide. For a short description, a flat ski is one where the bindings are attached through holes that need to be drilled into the top of the ski; a system ski is one where the bindings attach to the ski using a "rail" system, where the rail is mounted onto the ski, and then the binding slides onto the rail and is then screwed onto the rail. We offer ski packages from Atomic, Elan, Fischer, K2, Rossignol and Volkl. Most of our ski packages are paired with Marker bindings, but we also carry and service bindings from Rossignol, Tyrolia, Knee, Salomon, Atomic and more. If you are near Pittsburgh and want to visit our ski shop in person, come to 392 Freeport Road in Pittsburgh, PA. We can help you find the right ski package for your ability and budget, and we will also mount your ski bindings at no charge for any ski packages purchased at our store.